We begin 2019 with a bit of cobwebs’ shaking. 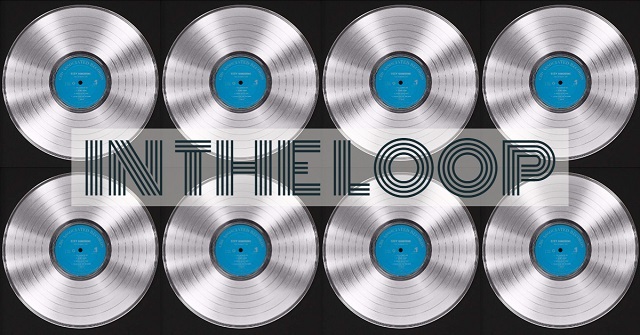 After a long hiatus, we recover our former section In the Loop, a weekly Top 40 with out favorite new tracks. And the first number one in our brand new loop is Norwegian producer Othalie Husøy, better known as Otha. Her stripped-down, electronica-infused pop tunes remind us of Junior Boys or the best artist in the Italians Do It Better catalogue. Her second single, prophetically named ‘I’m On Top,’ literally tops the first edition of this new era for our chart. Otha is closely followed by some tracks released at the end of 2018, London dance team CliQ featuring the vocals or Mrs. Banks and Alika setting the clubs on fire with ‘Anything I Do’ and the poptastic DIY indie band from County Durham, Martha, anticipating their third album with ‘Heart Is Healing.’ Two female vocalists, one American, Jessica Pratt, and one Frech, Charlotte Gainsbourg, complete the Top 5. The rest of the chart has a mix of tracks from some of the most awaiting artists and albums of 2019, among them D’Angelo; Flohio with Clams Casino; Men I Trust; Young M.A. ; Unloved; Deerhunter; Sharon Van Etten; Lana Del Rey and Beirut and veterans announcing their returns, such as Meat Puppets; Patty Griffin; Los Planetas teaming up with Niño De Elche for their new project Fuerza Nueva, and Mercury Rev who, next to some of the most acclaimed female vocalists -Hope Sandoval; Norah Jones; Laetitia Sadier; etc, reinterpret Bobbie Gentry’s album The Delta Sweete. The rise of latin pop and urban music is well represented by the likes of Bad Bunny; Yung Beef; Ozuna and Melii and even a rarity by Radiohead made this week’s selection.